This project is a direct outcome of my residency with the City of Boston through its BostonAIR program. 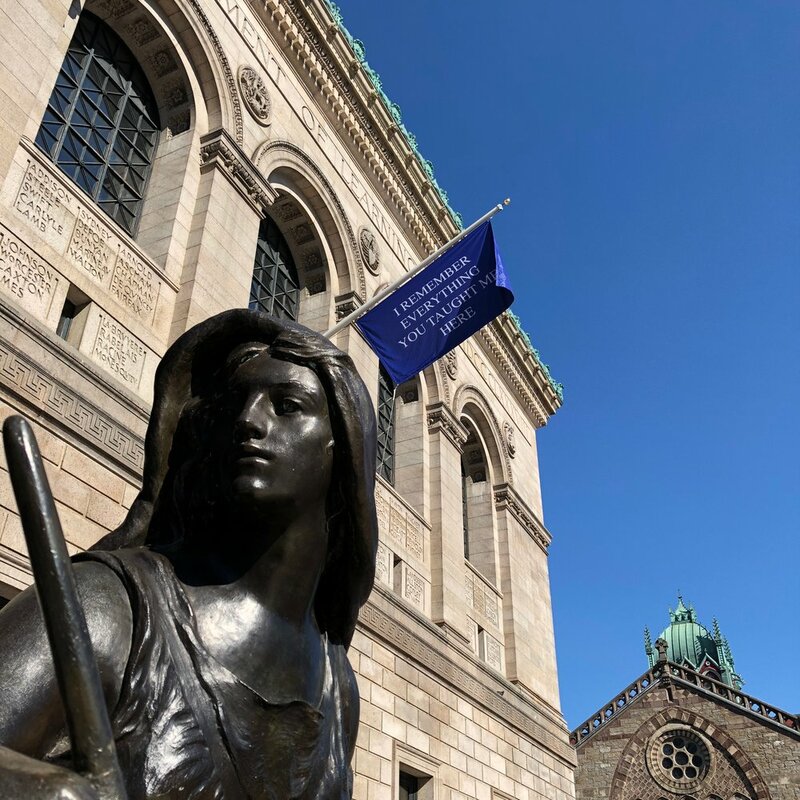 It would have not been possible without the Mayor's Office of Arts and Culture, The Boston Art Commission, and the remarkable people at the Boston Public Library. I learned about my city here. I found a place to live here. I mourned my mother here. This is my love letter to our library. In addition, there are postcards that talk about the project and allow space for the viewer to write messages of remembrance. There are also Memory Books which allow for the people who interact with the library, whether as patrons, workers, or any other identity to record their memories of the place. 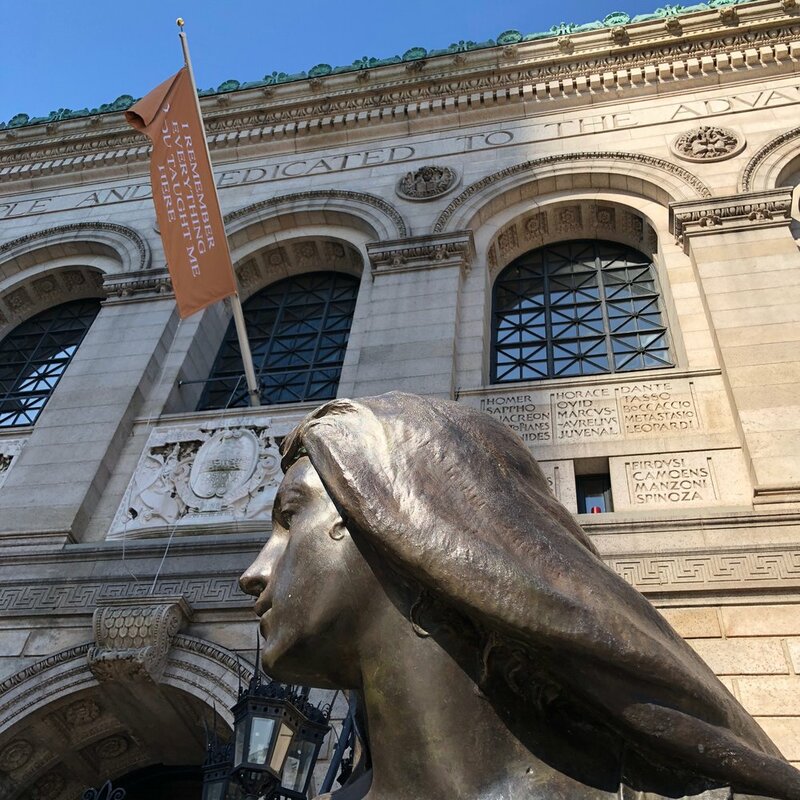 On August 3rd, we installed a banner at the Adams Street Branch of the Boston Public Library. 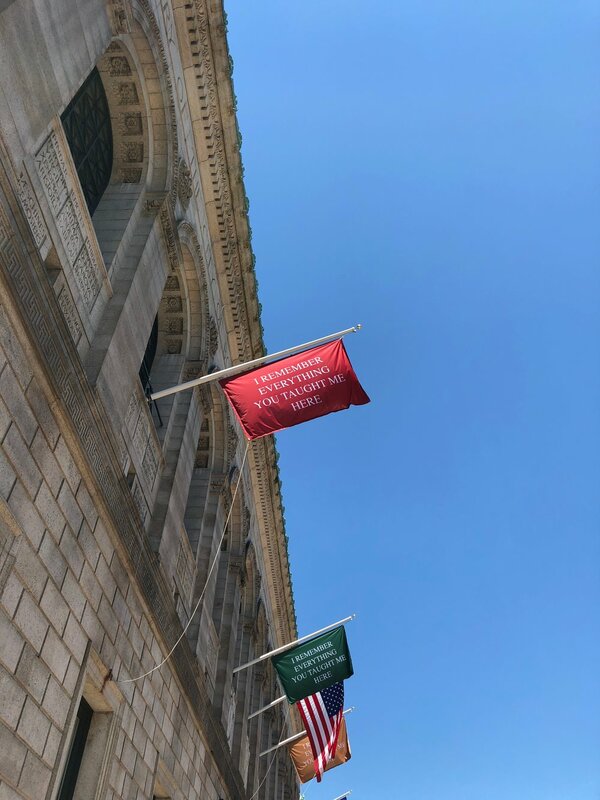 On August 15th, we installed a banner at the South Boston Branch of the Boston Public Library.